The other week, I had mineral water. Of my own volition. That's right - I was thirsty, so I poured some from a bottle into a glass, and I drank it. To fully explain this, I probably need to go back in time a bit. You see, when I was a kid, I didn't like mineral water, or spring water, or soda water, or carbonated water of any kind. It tasted nasty. I liked lemonade and other fizzy drinks (I assume that they had some decent additives which covered up the flavour of the bubble or something) but when it came to water, I just wanted the stuff that came out of the tap. I remember the first time having some sort of fizzy water, I was at someones house and had asked for some water, and instead of a glass of tap water, this strange liquid was presented to me. I certainly hope that I wasn't rude enough to complain about it, but I do recall being amazed at how nasty it tasted. I don't think a small tumbler of water ever took me so long to drink. My gran periodically attempted to convert me to bottled water - she'd came back from shopping, clutching a new bottle of clear unpleasant effervescent water to apparently drink. "This one is different," she'd say optimistically, "you'll like this one!" And yet, somewhere in the last twenty years, I've become able to drink the stuff, and beyond that, I could even say that I enjoy it. Of course it's not the same as a pint of beer, but it's entirely acceptable. After carrying out a minimal amount of research from here, I understand that as we age the number of taste buds we have decreases, and the ones that are left atrophy (aka they wither away like one of the potted plants in the back garden that I've forgotten to water again) so your sense of taste diminishes - this was probably aided by a large quantity of deliciously hot curries in days gone past. So I'm pleased to think that fizzy waters are probably just as nasty as they ever was, but I just don't notice it nowadays. In other news - early next month, I'm getting married. I'm very much looking forward to the big day of course, I am aware however that things are likely to get very busy around the wedding day, plus we'll be going away at some point in the next month or two for a honeymoon. So I'm after guest bloggers to help fill the gaps! If you're familiar with my blog, I tend to ramble on about pretty much anything, in the vague hopes that some of it might be entertaining. If you think that you could do a post, get in touch with me - my email is mike.raven@gmail.com and my Twitter is @ravenswingthog . I did write some guidance for guest bloggers a while back if you want more info. I can't say exactly when your post will be going up (but if it's topical I'll endeavour to slot it into an appropriate time) but I'd be very grateful for your interest, and of course you're welcome to link back to your own blogs and the like. Finally I've noticed that this, if Blogger is counting correctly, is my 390th post, so I'm ten away from my 400th (I can do math). I'm not one for marking big numbers - mainly because I forget to keep track - but I'm going to try to do something half decent for the 400th. Then again, I might just forget all about it and realise in three months time that I've passed the 400 mark without a comment. Watch this space! Good luck for the wedding! Don't forget to put bottled water in the tables! I used to detest lychees but lately I've been able to eat them. Perhaps it's down to my ageing tastebuds..? Interesting - I've always loved lychees! Rambutans are also lovely but they have a very weird texture. I would like to guest blog per your request.Check out some of my blogs here-http://goonyathoughts.wordpress.com.If you're interested,email me with either of the two addresses there so we can talk and maybe hook up.Thanks! Processed water is healthy, whether it's mineral, distilled, etc. Sure, there might be variations in terms of preferences and tastes, but there might come a time that it is the only available water for consumption. It’s great that you can tolerate them now, at the very least. Absolutely right Judith (although personally I'd probably veer away from distilled water as it doesn't contain the trace minerals found in other types of water), in many countries water quality is a very real issue, (more info at http://epi.yale.edu/epi/issue-ranking/water-and-sanitation) in the UK tap water quality is very good but things can always change. 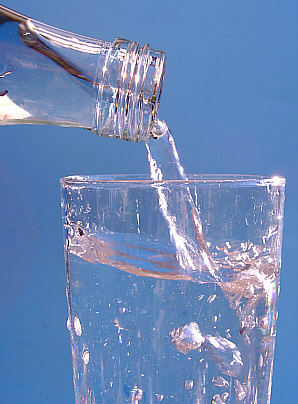 It makes it very difficult for us to trust processed water, especially if it feels wrong every time we taste it. Taste has a big impact on water, since it can define its status and quality. Anyway, thanks for sharing this with us. All the best!